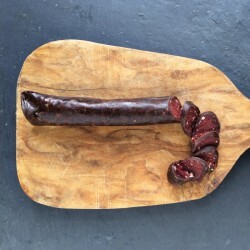 Specialist producers of wild Scottish venison charcuterie. 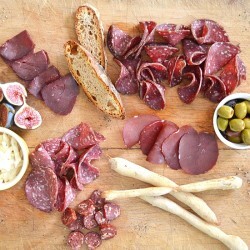 Great Glen Charcuterie is a family run business set up ten years ago by Anja and her husband Jan Jacob. They live and work in the beautiful little village of Roy Bridge, set deep in the rugged Scottish Highlands which is perfect for sustainably sourcing venison from wild, well managed herds. 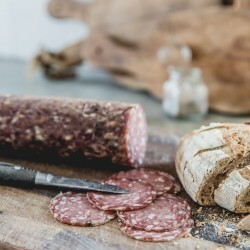 Their passion for producing charcuterie is reflected though the quality of their products. 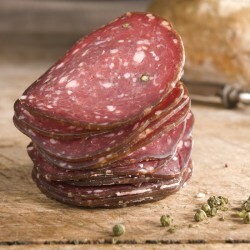 Everything is produced by hand and air dried in order to preserve the unique and unrivalled flavour of wild venison.